In the days following last week's iPhone 8 launch, a number of new owners have reported the audio bug to Apple's Support Pages forum (1, 2) and Reddit's iPhone subreddit, saying their new device emits a "crackling" or "static" noise from its ear speaker. Apple commented on the matter in a statement to The Verge, saying, "We are aware of the issue which is affecting customers in a small number of cases. Our team is at work on a fix, which will be included in an upcoming software release." The company failed to elaborate on the bug's cause. A number of users have experienced the issue, however, and in each case the iPhone 8 in question emits a high-pitched crackling sound while on a phone call or FaceTime Audio call. The problem does not manifest in every call, and is not present when using the earpiece as a loudspeaker for speakerphone connections. 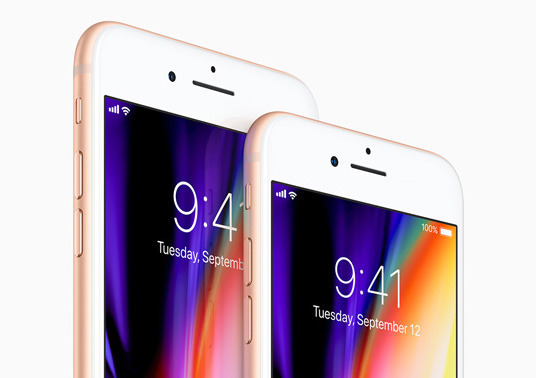 Further, both iPhone 8 and iPhone 8 Plus units are affected by the issue. The symptoms suggest software, not hardware, is to blame for the crackling noise, meaning a firmware update will likely rectify the situation. Apple failed to offer a timeline on the coming fix, though the company just today released iOS 11.0.1 to squash a number of bugs.